If you’ve never tasted a Lindt chocolate, you’ll probably have seen the advert where a magician chocolatier pours the smooth filling into it’s chocolate shell. If you have tasted the scrumptious little chocolate balls, you’ll be familiar with the heavenly experience of the filling, oozing out of the shell as you tuck in. £5.99 @lindtuk wow looks amazing at Liverpool Lindt shop. The product has recently hit shelves in the UK and seems set to rival everyone’s staple spread Nutella. 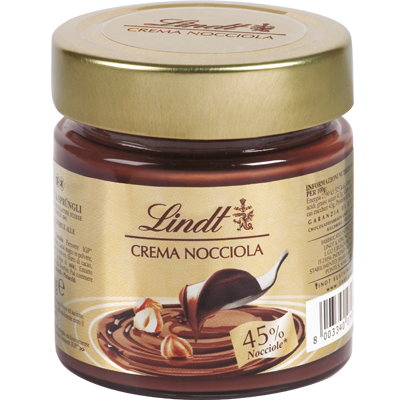 The use of real LINDT chocolate combined with hazelnut enables you to create a delightful dessert or snack with a full and intense flavor. The preparation method that has been fine-tuned by the Lindt MaÎtres Chocolatiers to give rise a perfectly smooth mixture which retains the full chocolate aroma. In the interests of science, I’m more than willing to do a taste-test between the different spreads to, y’know, truly evaluate these things in a strictly professional manner. Last month, Lindt also revealed they’re now selling a new flavour of their iconic chocolate balls. The company introduced a limited edition Mint Lindor Truffle, exclusively in Tesco stores Hotukdeals reports. Should you decide to throw caution to the wind and go Lindt crazy, with the spread and the truffles, you can buy a box to enjoy of what Lindt describe as a ‘delicate chocolate shell and peppermint-infused truffle’ for around a fiver. While the spread will set you back £5.99. If you enjoy the taste of limited edition chocolate and miss out on these delicious cocoa spheres then don’t worry, there’s plenty of ‘rare’ choc about these days. Just a few months ago, Nestle released a Ruby chocolate KitKat, again exclusively at Tesco – why do they get all the best choccies? The new chocolate has a strong natural berry flavour, which doesn’t come from any added ingredients, just the Ruby beans which are used to make it. We know that a new type of KitKat is a really big deal and we are very excited to be able to offer a different type of chocolate for KitKat fans to try. Ruby chocolate is a big innovation in confectionery and we are very proud that KitKat is the first major brand in the UK to feature this exciting new chocolate. It’s a great time to love chocolate, what with all these new sweets for us to enjoy, especially as a recent scientific study seemingly found a link between being smart and liking a milky treat. The study, which was published in the journal Appetite, revealed a positive link between frequent chocolate intake and cognitive performance. The study also suggested scoffing chocolatey treats can ‘protect against normal age-related cognitive decline’ meaning it’s totally acceptable to eat them when you’re a bit older and your metabolism isn’t what it was.